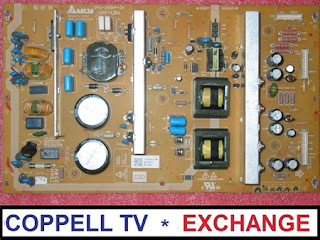 We were brought an Element PHD42W39US 42'' plasma which was powering on to no image. Inside was the first case when I personally saw a plasma TV without a ZSUS (X-Main) sustain board ever and it spooked me for a while. Turned out LG simply put both sustain modules on one board - the EBR50267901 in this case. 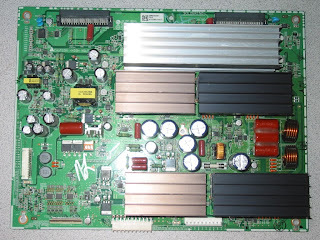 (I've later seen a very similar board - clearly the same design, but the ZSUS functionality was removed from it; I do not know which was later or newer, but clearly LG experimented with this one). Oddly enough, it was exactly the ZSUS functionality that has failed and that has resulted in a dark image. All the power FETs on the ZSUS side (heat sink HS906) were blown and in addition the little IC909 with the mysterious "1725" was also burned. Finding out what that "1725" was proved to be a challenge. If you need IC909 "1725" or the 45F123 power FETs you can drop me a line and I'll see what I can do. A hotel chain sent us a number of power supply boards DELTA DPS-250AP-34 for repair and we've collected some hands-on experience repairing them. 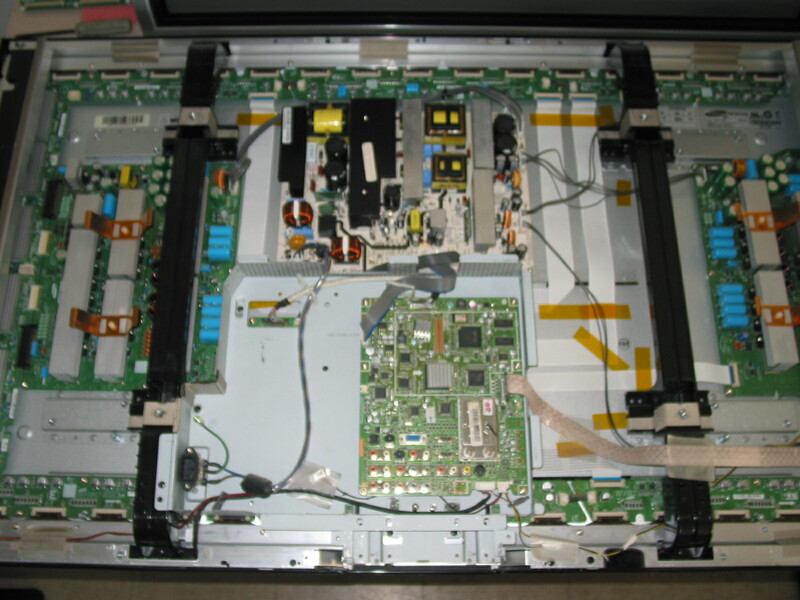 The board is used in a number of Sony LCD TVs (37'' and 42'') and its stock Sony part number is 1-474-095-12. 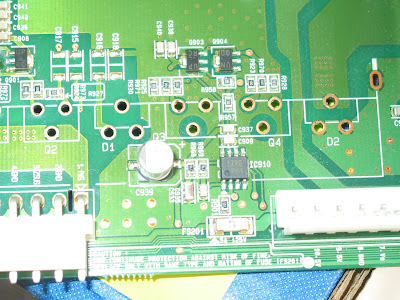 Upon connecting the board to AC it produces 3.3V standby voltage on the appropriately labeled pin on the CN602 connector located in the lower right corner of the board; the pin is third from bottom to top and is labeled "STBY3.3V" and the ground to measure those to is the 3rd, 4th and 5th pin from the top, accordingly labeled "SGND". Upon shorting the STBY3.3V pin with the POWER_ON pin (which is the lowest on the CN602) connector the board should produce a swift click and output 24V on the CN603 connector as indicated on the labels. If it does then it is most likely good. 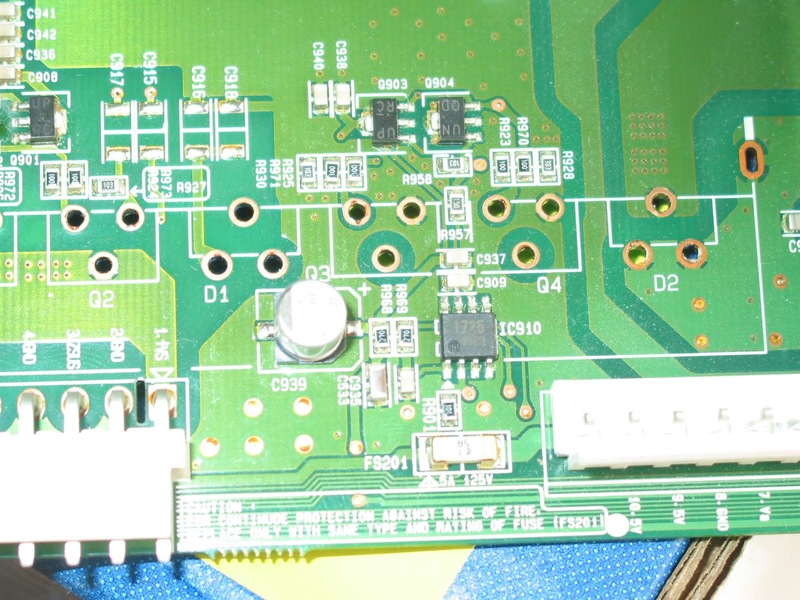 The two problems we have seen were lack of standby voltage and lack of response from the board when activating it. Just a quick note for the few owners of Samsung FP-T5084X/XAA (a.k.a. 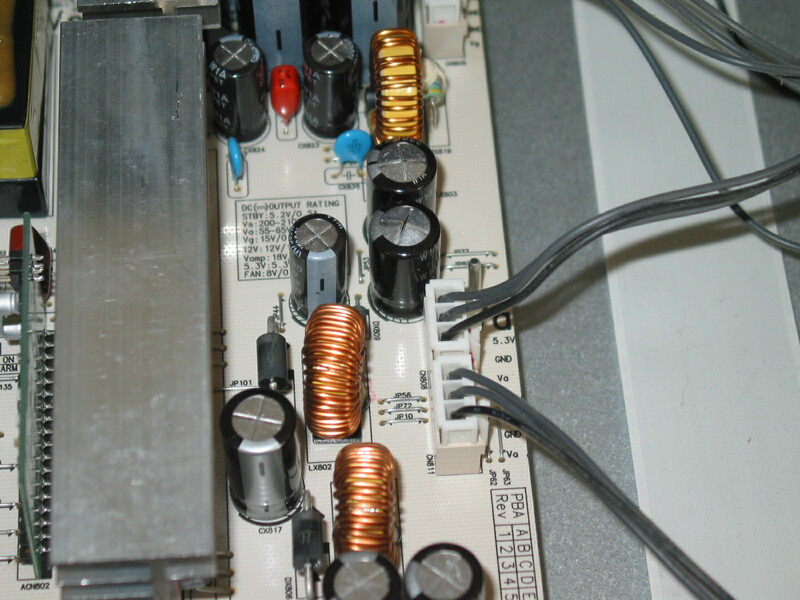 Samsung FPT5084) : the power supply in your TV has a known series of bad capacitors leading to a dead TV. 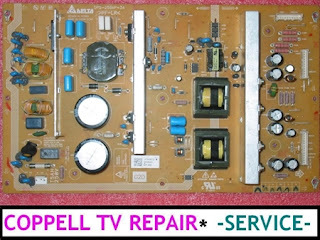 We could confirm that after we've had several units brought in for service over the course of the past month and they all had the same symptom - a totally dead TV with a very slight whining to be heard from the back (I guess not everyone might be able to hear it). The FPT5084X/XAA would not respond to power on command from neither the standard power button nor the remote. They'd all just be totally dead. My first thought was for a bad main board, but it turned out the same old power supply issue. In this case it was coming from power board BN44-00175A as shown below. Given this is a Samsung plasma I'd expect problems with the Y-Main and buffer boards before anything, but in this case apparently not. 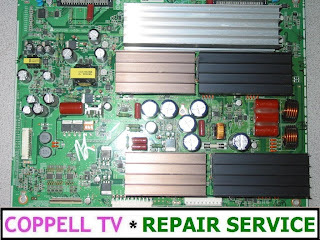 Here is a link to our store where you can get the replacement capacitors and possibly other kits and repair services for the Samsung FP-T5084X/XAA.